Parents can enjoy their service without distraction or guilt — resting assured that their babies and toddlers are well-cared for. This ministry of excellence places great importance on the safety and well-being of children while also ministering to them from the Word of God! Our team of supervisors and volunteers are highly qualified and continually trained according to daycare, proficient standards. Background criminal checks are conducted on every volunteer starting at the age of 16. Learning time includes praise and worship, prayer, Bible lessons, puppets and snacks. 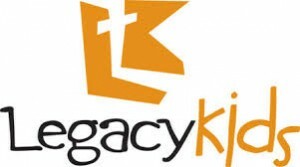 With live instruction, music, puppetry and drama, the legacy Kids Jr. Ministry Team teaches 2, 3 and 4 year old children God’s Word on a level they can understand, enjoy and apply to their lives. Parents are free to enjoy “their church” with peace of mind—knowing that their children are safe, happy and learning the Word of God! Our children’s ministry captures kids’ attention and ignites enthusiasm with ever-changing themes, exciting modern drama parodies, music, humorous puppet presentations, traditional Bible stories and interactive review games. You’ll be amazed at how quickly your kids can learn how to apply Biblical principles to their everyday lives and develop a lifelong relationship with Jesus Christ.